Why does IMS & DBH carry ITW Vortec? Vortec is a well-known company that led the revolution of the vortex tube phenomenon. They were the first ones to incorporate the product into a more practical approach for cooling solutions. Since their successful venture, Vortec widened their product lines by eventually adding air amplification items to their arsenal. Currently, Vortec is a part of ITW Air Management business. The cold air guns that Vortec makes is relatively a popular product to the open market. It uses an advanced, vortex tube technology that upgrades performance greatly. It has a nifty filtered compressed air, and this works to make sub-freezing air. As a matter of fact, it can often go as low to a whopping -30 degree Fahrenheit. This can be taken into an advantage for a number of spot cooling usages. Thinking different outside the box, its design is built with no moving parts. Meaning, the parts do not wear out at all. In addition, there’s no need for electricity in this application. The compressed air source is more than enough. This can be used for different situations, such as cooling of metal parts, machining, and repair of metals, plastics, wood, ceramics and other materials. One great thing about Vortec’s cold air machining is that it eliminates the need for mist coolants. At the same time, it greatly offers other benefits as well. Unlike its counterpart (mist coolants), it has the ability to increase the life of the tool. Also, it’s ideal for dry machining operations as it feeds on rates. Efficiency score runs high with ITW Vortec’s cold air gun. It’s been built to completely get rid of the heat-related parts, and while this is being processed, it increases the parts’ endurance along with the finish quality of its surface. 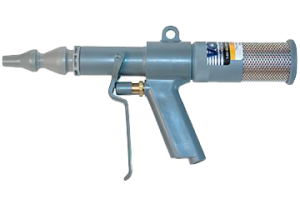 Their air gun nozzles have been conveniently made for their clients, it comes in with its adjustable temperature settings. They also have frost-free nozzles to boot, making it one of the best brand in the market for modernization. With their top-leading facilities and team, Vortec introduced the company’s high-end, hot air guns to the market. Its heat doesn’t come as strong as an electric heat gun, making it perfect for pre-heating parts. Its applications start from processes to solution, while carrying an incredible outflow rate of 2-8 scfm. Consumers who are looking for tools to soften adhesives, rubber, and vinyl, and accelerating drying, trusts Vortec’s hot air guns to do the job. Please call us! We would be happy to hear from you and we love to answer any questions you might have about our current products or services; industrial machine servicing; line boring equipment; Pneumatic Valves; Welding Products & Supplies;Steel and Stainless Hydraulic Fittings; Controls; Paint Booths; Air Logic Controls; Hose Reels; Hydraulic Cylinders; Pneumatic Compressors; Specialty Welding; CNC Parts, and many more services than we can list.